“Little Island – Big Ideas” is a free lecture series on the past, present and future of Treasure Island presented by the Treasure Island Museum Association. The lecture series is presented on Treasure Island, in historic Building One, on select Saturdays at 10:30 am. Treasure Island is easily accessible by bus or car. Free parking in front of Building One, the large semicircular building on the right just inside the main gate. Since 10,000 B.C., climate changes have transformed the Bay Area and Yerba Buena Island, once a mountain within an inland valley. Native peoples responded to the evolution of this landscape through a series of adaptive strategies and technological innovations revealed in archeological excavations on the island and the greater Bay Area. Speaker: Philip Kaijankoski, Far Western Anthropological Research Group, Inc. The 49 Mile Scenic Drive was born as a promotion to draw Golden Gate International Exposition visitors into the rest of the city. Even President Franklin Roosevelt drove it, back in 1938. 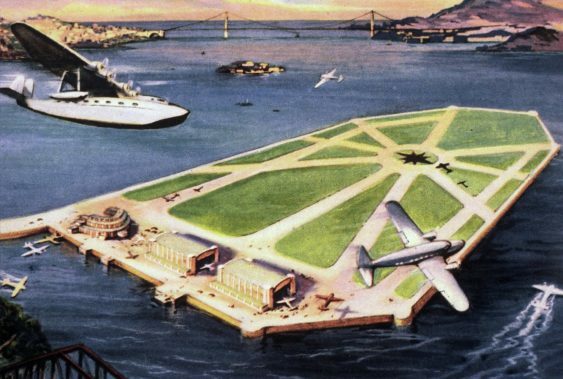 Had the island segment not been removed when the fair ended, how many fewer of today’s San Franciscans would say “I’ve never been to Treasure Island”? Learn more about the origins of this famous route, and the quirky histories and mysteries to be discovered along its 49 miles. Speakers: Kristine Poggioli and Carolyn Eidson, authors of Walking San Francisco’s 49 Mile Scenic Drive. Books will be available for signing. In its heyday, Naval Station Treasure Island sent off thousands of sailors and marines per day to help win World War II in the Pacific. But the Navy’s presence here spanned a century, starting in 1898 on adjoining Yerba Buena Island which housed the first Naval Training Station on the Pacific Coast and the quarters of captains and admirals, including the last postwar residence of Admiral Chester Nimitz, wartime commander of the U.S. Pacific Fleet. Speaker: James Sullivan, Department of the Navy.